Before we added a little person to our family, David and I were always pretty adamant that we would not try and change our lifestyle too much. I never wanted to be a mom who worked around her child's nap schedule or one that stopped doing fun things because the baby needed to sleep in a crib. We take a lot of road trips and travel two hours north to my in laws quite frequently. So getting P to sleep virtually anywhere has always been a priority to us, which she is pretty good about (makes me almost forget it took her 11 long months to sleep through the night). This girl can nap in her crib, her stroller, her wrap and even her pack and play. When I tell people she is a good sleeper in her pack and play I am usually met with a bewildered stare. Part of me thinks it's because we road trip so much she has no other choice. I mean we did go to Mendocino when she was only 5 weeks old! But I also realize that it's the combination of quite a few things that get her to sleep and stay asleep through the night. I received this as a gift at one of my baby showers and initially thought WTF. I had no idea what it is, what it does or why it had to take up so much room in my house. That is until I used it. I firmly believe this is why P has always slept so well in a pack and play it's a very cushioned pad that you put on top of the pack & play pad. It also folds down and doesn't take up much room. It always accompanies us on long trips and bonus we lay it under blankets in the back so Finn has a more comfortable road trip! My friend Nicci sent this to me as soon as she found out I was pregnant and we have used it since day one. What I like about the travel sleep sheep is that it is small. Which is a plus when you're lugging around so much stuff. Little people use SO MUCH STUFF! I like the ocean sound (similar to a white noise) to drown out other noises in the room. This is another recent birthday gift that we just love. It projects stars and a moon onto the ceiling in different colors of blue, green, orange & white. You can have it rotate through the colors or stay on one. This is a great distraction when she is slugging down her nighttime bottle. Only plus would be if it had a sound feature to it - then I could eliminate the sleep sheep! Alright maybe it's just the blanket crazy girl in me but this is the last layer I add to the pack & play. I feel like it makes it feel more like a bed, has a little pillow in it and eliminates the need for a sheet. Super easy to wash and tote around! I want to first and foremost disclose that I was given this pack and play in exchange for my opinion. My opinion is I freaking LOVE IT. Honestly I was using another much heavier pack and play and cursing it all the time. The Baby Bjorn pack and play is not only light (13lbs. in its travel case) but the set up is a breeze. That's saying a lot when it comes to pack and plays. If you're familiar with other brands they can be a downright pain in the arse to set up/take down. I can easily fit my nap mat and mattress topper in this crib as well even though it's travel size. It actually feels closer to full size. It's amazing and if you don't believe me check out it's reviews. I'll happily be donating my old pack and play to a new home. 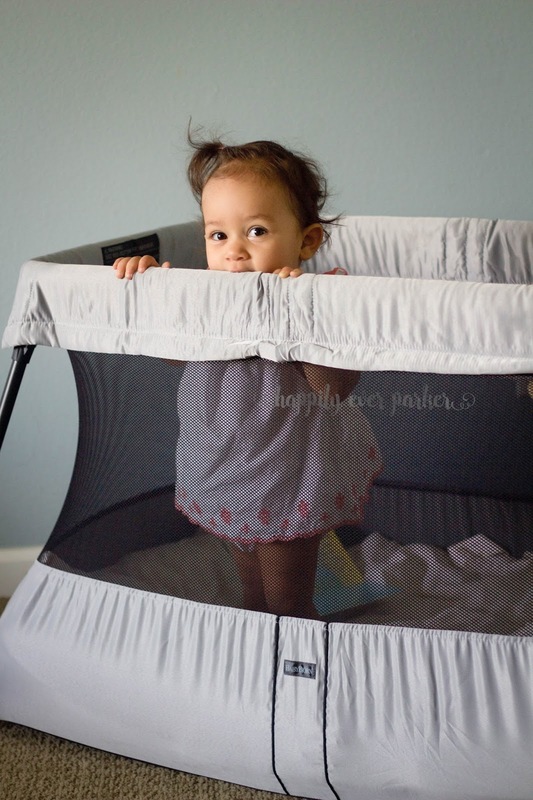 So will these tips and tricks help your babe sleep in his or her pack & play? I don't know, but I bet you're willing to try! Let me know if you use any of it and have a success story!! 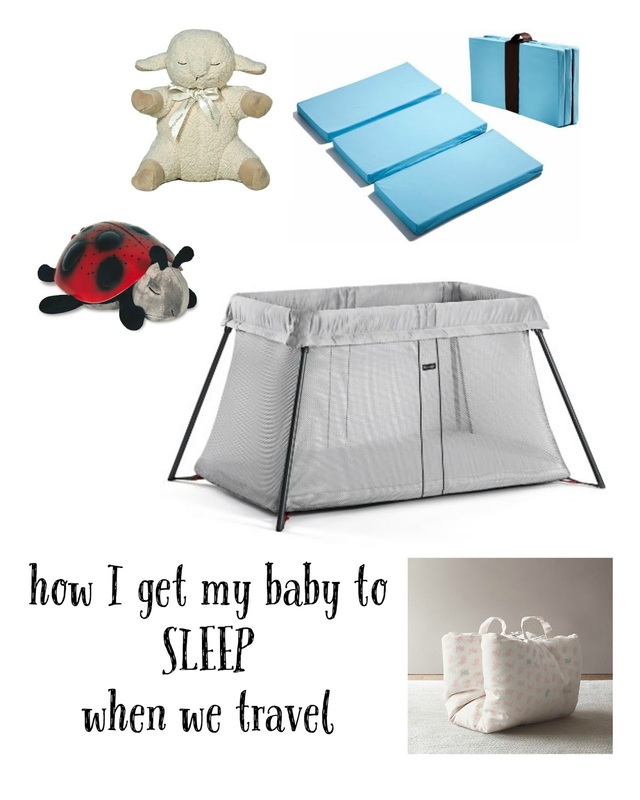 *The Baby Bjorn travel crib was given to me in exchange for a review. As always the thoughts and opinions expressed here are my own. Great tips! I'd never heard of that mattress topper. We have a baby mattress for our pack and play because let's be real...the ones that come with it are not comfortable. My son would never sleep on just that one so we bought something to use with it and it works like a charm. I just pinned this, my family lives 2.5 hours away so there's doubt when we have a baby s/he will be traveling a lot! I'll definitely use these tips in the future. I have a few friends that would love these tips! Will pass it on to them! The mattress topper!! I need it NOW. Lex loved her travel crib because it was her crib away from home. K has to deal with whatever pack n play we find during trips because trunk room. But that mattress topper is GENIUS. Oh I think the mattress topper is clutch! Those pads are so thin, I wouldn't sleep well on it either! Isn't the Baby Bjorn travel crib the greatest thing ever!!! I was a skeptic until we tried it too. AMAZING. Mim sleeps like a rock star in that crib! LOVE!! Oh I wish I had that when mine were babes! I definitely need to look for a mattress topper for our pack and play, I'm sure that would help Luke sleep better!